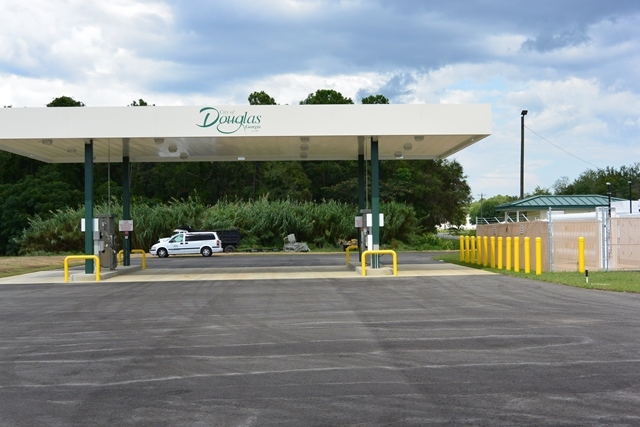 Douglas is proud to have one of the first Compressed Natural Gas (CNG) fueling stations in South Georgia! The CNG fueling station held its ribbon cutting ceremony on Wednesday, October 8. The project finished ahead of schedule we have several companies that are currently fueling their fleets at our facility. 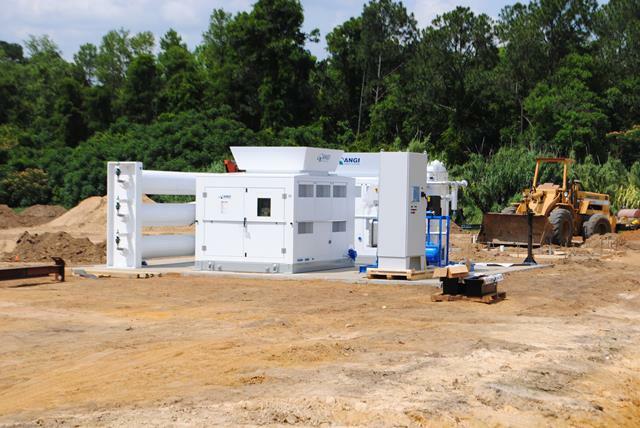 For more information about our CNG facility, call 912-389-3427. The City of Douglas Mayor and Board of Commissioners recently voted to convert (5) five Dodge Chargers and (1) one Freightliner Vehicle to Compressed Natural Gas (CNG). City officials plan to convert more vehicles as time permits to help save on the fuel cost of the fleet of vehicles the city owns. 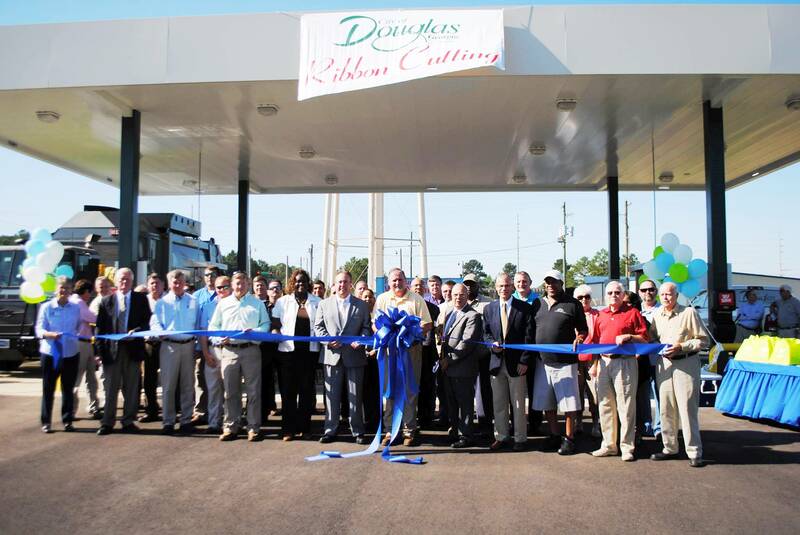 The City of Douglas Compressed Natural Gas facility opened in October. Compressed Natural Gas can be used in the place of gasoline, diesel fuel and propane/LPG. It is a domestic energy supply with 98% of its supply being produced in North America and is cleaner for the environment. Any existing gasoline vehicle can be converted to a dual-fuel (gasoline/CNG) vehicle. Currently, the city has a contract with Waste Industries to use the station and is open for public access. For more information about the Compressed Natural Gas Fueling Station, please call the Natural Gas Department at 912-389-3427. Mike Hudson, Natural Gas/Water/Wastewater Director, spoke with children at Indian Creek Elementary School about Compressed Natural Gas (CNG) as an alternative fuel source and about the new City of Douglas Compressed Natural Gas fueling facility. 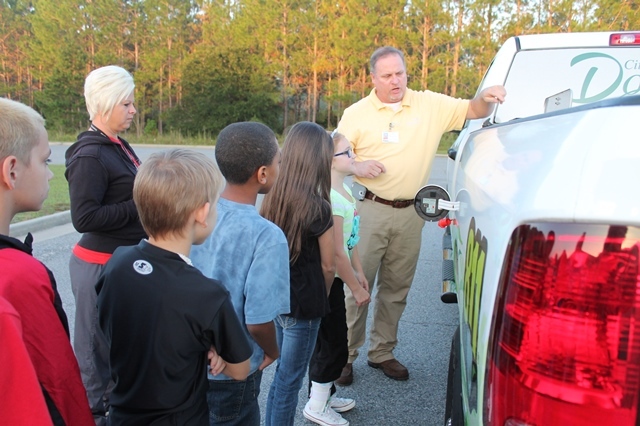 Children were able to see where compressed natural gas is pumped into the Natural Gas Department’s CNG vehicle as well as hear tips about natural gas safety. Indian Creek Elementary students learn about Compressed Natural Gas during National Gas Month. 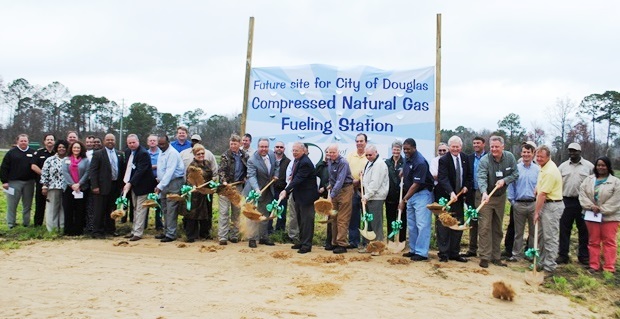 In March 2014, the City of Douglas held a groundbreaking at the site that will soon become one of the first compressed natural gas fueling stations in the south Georgia. 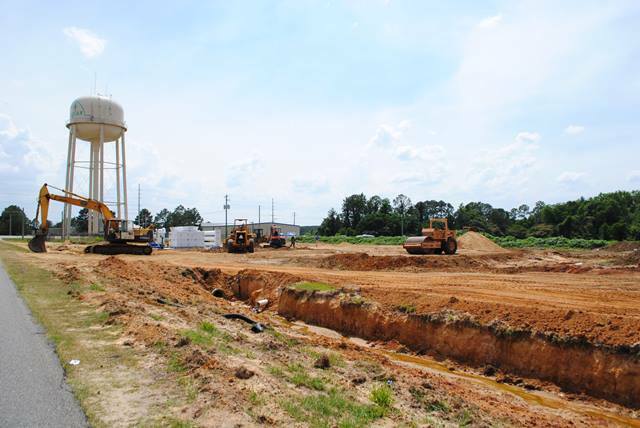 MAY 2014 - Construction is Underway! AUGUST 2014 - Great News! Construction is ahead of schedule!